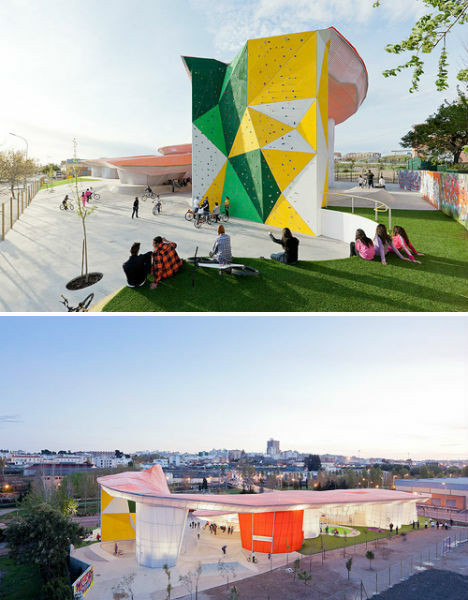 Architects José Selgas and Lucía Cano of SelgasCano Studio took on the challenge of creating an urban gathering space for young people which could be constructed of inexpensive building materials. 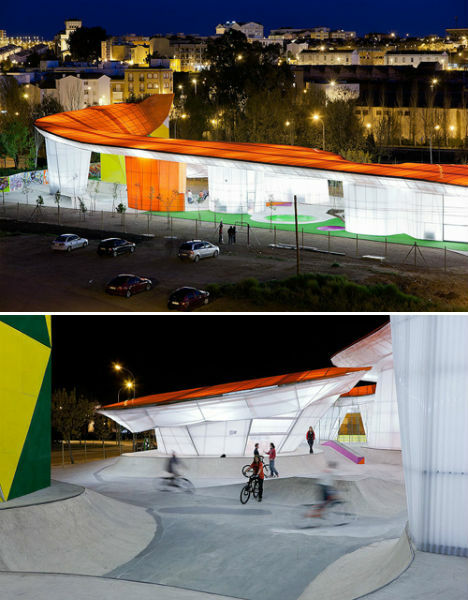 Made largely of vivid, lightweight polycarbonate and completed in just 13 months, Factoria Joven has quickly become everything the project collaborators wished for, bustling with athletic activity day and night. 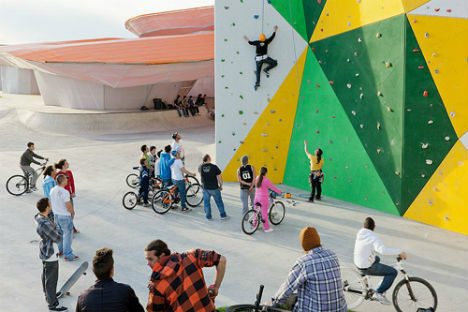 In addition to a large climbing wall and space for biking and skating, Factoria Joven includes a computer lab and dance studio, meeting rooms and spaces for street theater, video, electronic music and graffiti.